Founded in 2012, we offer an extensive selection of first cold pressed extra virgin olive oils, flavored oils, specialty oils and balsamic vinegar from Modena, Italy. With over 50 varieties to choose from, our knowledgeable staff can guide you towards that perfect choice whether you are shopping on-line or browsing our current offerings in the store. Be assured that your purchase is of the highest quality, authentic and verified. Visit us at Lafayette Village Shopping Center in Raleigh, North Carolina. Browse through our diverse seasonal offerings and discover something unexpected and new. Locally owned and operated, we truly appreciate your business. 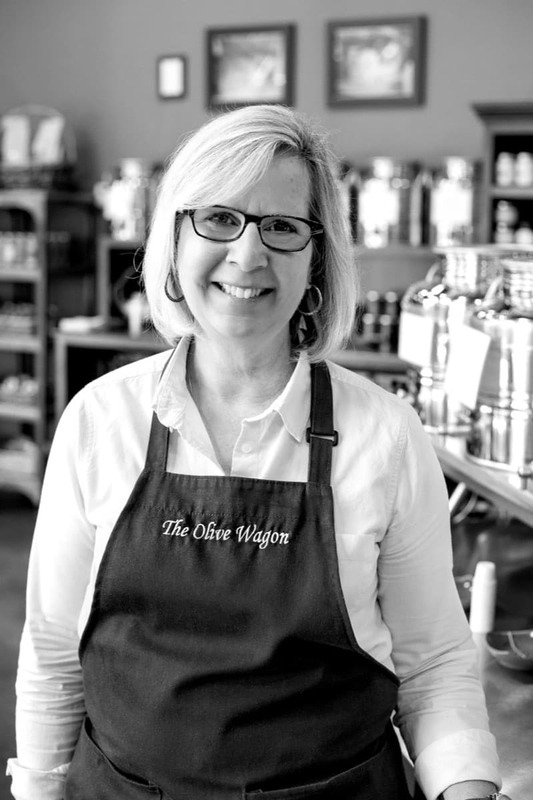 Thank you for shopping with us- Whitney Brown- The Olive Wagon. A belief or behavior passed down within a group or society with symbolic meaning or special significance with origins in the past. Casual conversations lead to a variety of enticing food experiences that bring back special memories ranging from family dinners to exotic travels. Food is an element that bonds one another by warming the heart and feeding the soul. We want to engage these memories and help create the start of new traditions.